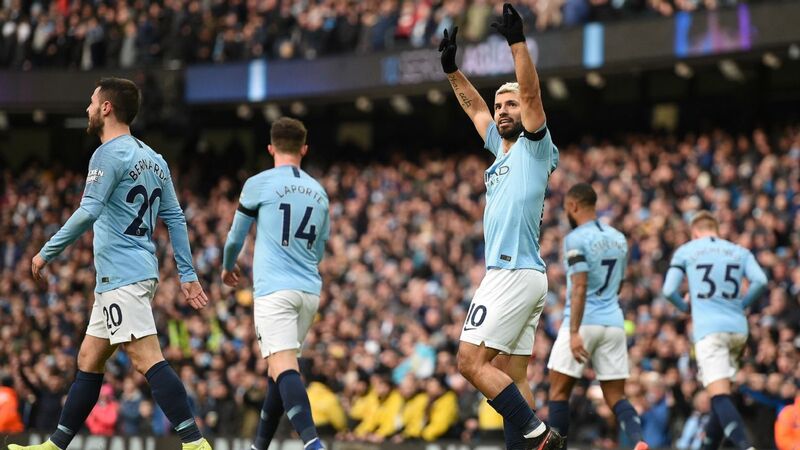 Manchester City dismantled Arsenal 3-1 to put the pressure on Liverpool while Manchester United continued their run under new management with a squeaky 1-0 win over Leicester City. 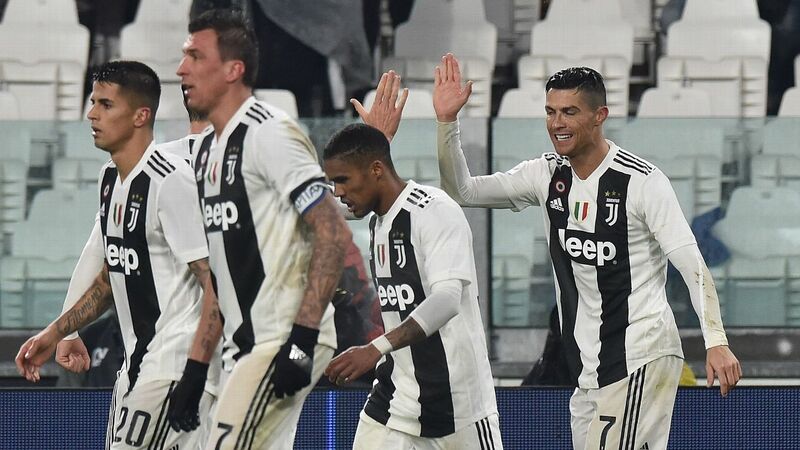 In Turin, Cristiano Ronaldo's brace wasn't enough as Juventus squandered a two-goal lead to draw 3-3 with Parma, and across the Mediterranean, a Lionel Messi brace found Barcelona coming back from 0-2 down to draw 2-2 against Valencia. Oh, and Lyon stunned PSG 2-1 at home, leaving Juventus as the only unbeaten side in league competition this season (in Europe's top five leagues). In the late Monday night match Liverpool slipped from 1-0 up to draw 1-1 at West Ham United -- the gap at the top of the Premier League is now down to three. Here are the best of the numbers from this weekend's football action. There are some stats that make you go "what, really?" This, surely, is one of them. This is the first time that Manchester City have won four consecutive top-flight games against Arsenal since... April 1937. Arsenal have failed to win any of their last 21 Premier League away games vs. 'the Big Six'. They have taken just seven out of 63 available points. Sergio Aguero has now scored 10 hat-tricks in the Premier League. Only Alan Shearer has more (11). 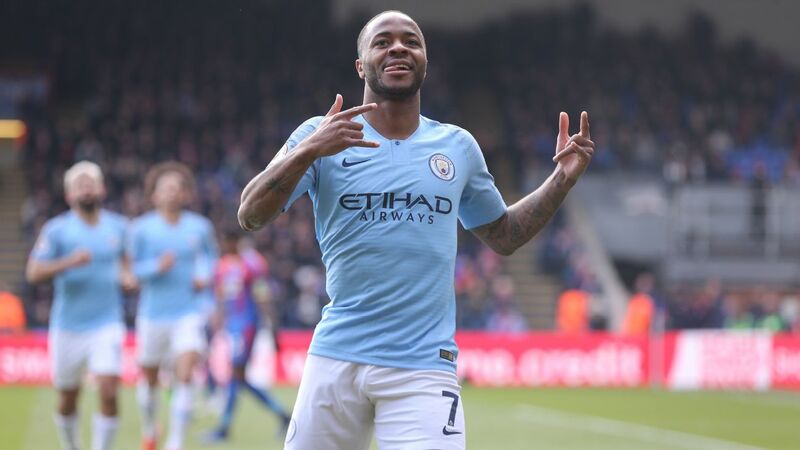 He now has 42 goals against the 'the Big Six' -- that's double the next closest (Harry Kane, 21 goals). Pep Guardiola has never lost a match against Unai Emery (W8 D4 L0). Liverpool may have allowed the gap to close, but history tells them they are on the right track. The Merseysiders are only the fifth team to have been on 62 points (or more) after 25 games, and all of the previous four went on to win the league. This, though, is a worrying number. As per Squawka statistics, Alisson Becker has saved just 36.4% of the shots he's faces in the league in 2019 -- that's the lowest save percentage among all the goalkeepers in the league (to have made 3+ PL apps in 2019). 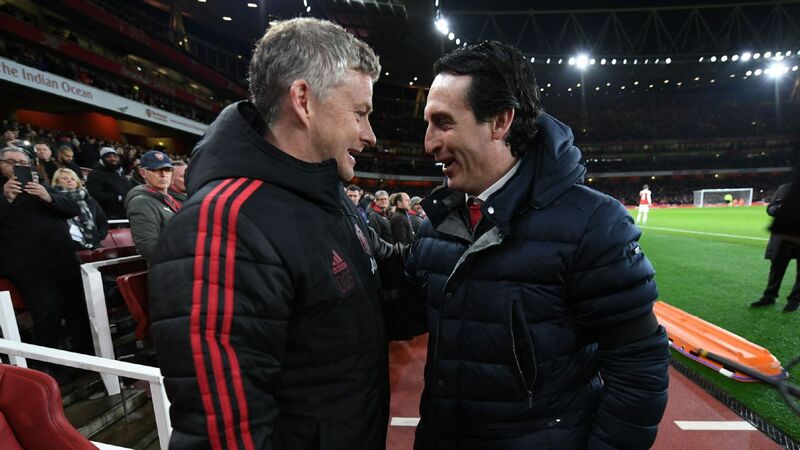 A quite remarkable record for a team that the previous incumbent felt was not nearly good enough - since Ole Gunnar Solskjaer took over, Manchester United have won four more points than any other Premier League team (22 points - W7 D1 L0). 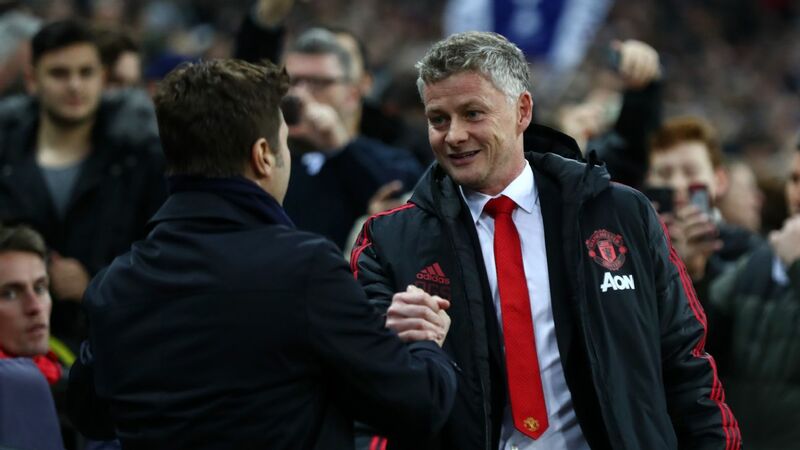 Manchester United have won five consecutive away matches in all competitions for the first time since October 2012, back when it was Sir Alex Ferguson in charge. Paul Pogba is not half bad, is he? The Frenchman has contributed to 55% of the 20 goals Manchester United have scored under Solskjaer. Thanks to Son Heung-Min's late heroics that gave them a 1-0 win over Newcastle United, Tottenham Hotspur have gone 29 games without a draw in the Premier League. That's a new record, beating Bolton Wanderers' previous best of 28 set in 2011. This is a lovely stat, if we say so ourselves. Gonzalo Higuain's second goal (a screamer) was his first from outside the attacking penalty area in a league game since May 6, 2017, snapping a streak of 54 league games without one. Chelsea overcame their mid-week humiliation at Bournemouth to thrash Huddersfield 5-0. Higuain bagged a brace on home debut - the first Chelsea player to do so since Mario Stanic in 2000. Cristiano Ronaldo (33-years old) is now Serie A's top scorer. His second goal taking him past Fabio Quagliarella (36-years old) on the Capocannoniere charts. No country for 'old' men? Hah. This is the first time since February 2014 that Juventus have dropped points despite having a 2-goal second half lead in the Serie A. That's 93 games ago. Oh, and this is the first time they've done this at home since May 2011 against Chievo Verona. Ouch. Inter Milan haven't scored a single goal in the first three Serie A games of a calendar year for the first time since 1956. No team in Europe's top five leagues have won more points from losing positions than Barcelona (14, tied with Alaves). Lionel Messi is the first player in Europe's top five leagues to score 20 league goals this season. 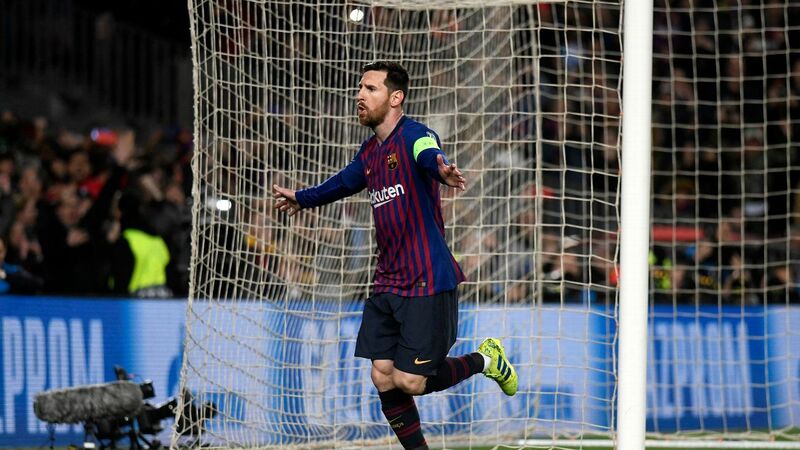 He is also the third player in La Liga history to score 50 penalty goals, after Cristiano Ronaldo (61) and Hugo Sanchez (56). Lyon have beaten PSG more often than any other team in Ligue 1 (four times) since the Qatari era began in August 2011.